I've been waiting impatiently for Lula's Issue 12 to hit the newsstands where I live (which, given Nashville's record, should be in another six months or so), so I was thrilled to find some images circulating the internet already.. a couple of beautifully shot editorials typical of the dreamy Lula aesthetic. 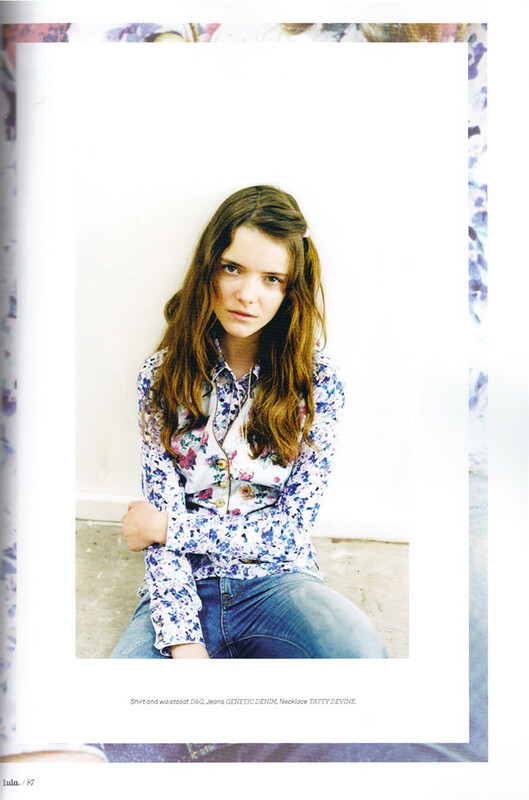 One of my favorites is Wildflower Soul, styled by Lucy Ewing and shot by Clare Shilland. The floral hair pieces and sweet little floral sweatshirt set are pretty irresistible. And that liberty print one piece. Aren't they lovely? Photos courtesy of The Fashion Spot.